Wednesday, Jan. 9 marked ASUCR’s first meeting of the Winter 2019. The meeting began with CHASS Senator Julian Gonzalez, proposing to remove Senate Resolution F18-005 from the agenda. The resolution, titled “100 classes in 100 days,” needs time to be developed, according to Gonzalez. The project, however, is still planned for 2020. During ex-officio reports, Elections Director Laura Pullen announced that all referendums and initiatives are due Jan. 18. Following this announcement, public forum was opened up and Denis Turan, a fourth-year Business Administration major and chairman of the Student Voice Committee (SVC), presented their most recent student surveys. Turan stated that his committee found ten delegates who would go out every week and survey students in order to receive feedback from them about their opinions on things such as ASUCR elections and R’Gear. He later said that they created a sampling plan verified by statistics professors at UCR who advised Turan that in order for their data to fall within a 95 percent confidence interval, they needed to gather data from 392 students. One of SVC’s surveys found that 67 percent of students were unaware that last year, the 20 percent minimum requirement for voter turnout for referendum approval was not met. Despite this statistic another survey found that 84 percent of students polled believed that their votes in UCR’s elections matter, leading Turan to question why the 20 percent minimum was not met despite the high student voter efficacy. Students were then surveyed on what would encourage them to vote in the elections this year. The top response was receiving more information regarding elections, followed by more incentives to vote, better accessibility to voting locations, a more diverse range of candidates and shorter voting lines. What they discovered led the SVC to offer the following recommendations to ASUCR: improve distribution of information to students about elections; provide more voting incentives to students; improve location accessibility and times; attract a more diverse range of candidates, shorten voting lines; use electronic voting at polling locations, which was banned last year; and improve visibility of ASUCR and its impact on campus for apathetic voters. The SVC also found that when surveyed on the R’Gear initiative, around 72 percent of students are aware of it and 86 percent of those students support the initiative. However, when students were made aware that $35,000 was allocated for R’Gear, the number of students who approved of the initiative dropped from 86 percent to 52 percent. Those who disagreed with the amount of money spent on R’Gear found that the money would be better spent on reducing the cost of textbooks, beautifying the campus or providing more school materials. Turan suggested that ASUCR needs to consider the opposition to R’Gear’s costs while carrying out the initiative, as well as consider only distributing R’Gear to freshman students to reduce said costs. 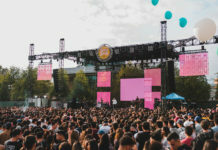 Turan also stated that the SVC’s next initiative is to survey students and discover why there is a seemingly high number of students who wish to transfer out of UCR. Turan stated that research for this survey began Jan. 10. Next on the agenda, ASUCR discussed the resolution “Providing Assistance to Wildfire Victims.” J. Gonzalez stated that wildfires have ravaged the state of California this year and he believes that it is ASUCR’s duty to offer resources to those who are suffering and displaced. Gonzalez called upon the chancellor and Housing Services to provide resources to students affected. Gonzalez claimed that the Canyon Crest Family Housing is able to house hundreds of families and host amenities, such as laundry rooms. 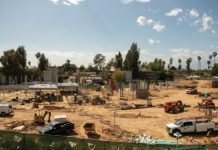 He believes that UCR should send a professional to inspect the property and document what needs to be done to make the housing livable, at least on a temporary basis. The motion to approve this resolution was approved 13-0-0. 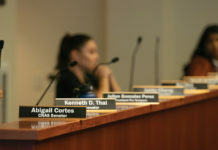 During Senator Reports, CHASS Senator Chelsea Davenport promised to set up a meeting with Housing Services in order to ensure that housing wildfire victims at UCR can become a reality. During roundtable announcements, Julian Gonzalez announced that on Jan. 23, the LGBT Resource Center on campus will be hosting a free gender marketing clinic from 5 p.m. to 7 p.m. in which students who are interested in changing their legal name would receive assistance. Executive Vice President Andrea Cuevas proposed a Meet the Senators event Jan. 16, from 12 p.m. to 3:00 p.m. so senators can meet and talk to students on campus. The senators will be required to attend the event. The event passed 13-0-0. The meeting was adjourned at 7:18 p.m. The next ASUCR meeting will be held Jan. 16 at 6:30 p.m. in HUB 221.